Texas A&M University -The Bush School of Government and Public Service Review! Texas A&M University is committed to realizing its vision to educate leaders in public and international affairs. The Bush School offers an educational experience designed specifically to cultivate principle and professionalism in public service. It offers a carefully designed curriculum, motivates self study and brings experiential learning to each student of the university. With the creation of principled leaders as its primary goal, students who already have leadership qualities are enrolled and the school works on honing these existing skills. Towards achieving the end result of confident individuals, students are exposed to intensive research, communication workshops, power and influence, and conflict resolution, which helps students learn how to lead effectively. The Texas A&M University was founded way back in 1876 as the first public college in the state, but The Bush School was founded in 1995 as an academic unit, a part of the College of Liberal Arts. Although, in 1999, the school started offering its first Masters of Public Service and Administration program, it became a free-standing academic college only in 2000. The school made giant strides and a variety of programs were introduced in little more than a decade. It is now the leading graduate schools for public and international affairs in the nation. 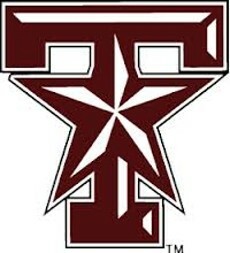 The school is located within the campus of Texas T&M University, which is the sixth largest public university in the nation. The school offers several Certificate courses in Advanced International Affairs, Homeland Security, Nonprofit Management, China Studies, and National Security affairs; Master’s programs in International Affairs, Public Service and Administration, Public Service Leadership Program, along with 5-year joint degree programs with the Department of Political Science, Department of Economics and International Studies. The two academic programs of the school that are widely known are the Master of Public Service and Administration and the Master’s Program in International Affairs. The faculty consists of multidisciplinary and distinguished members who have gained prominence in their fields of work. The educational experience also includes real life research projects, where students get the opportunity to work with a team on a real project for a real-world high-profile client, guided by the faculty. Students who complete their graduation in the Bush School have the ability to directly influence their success and growth through implementing the strategies and academic knowledge they have gained during their years at the school. They learn the importance of working toward their professional goals of finding key leadership positions, while keeping community interests in mind. The Bush School graduates are known to be highly competent, highly dedicate and highly ethical public servants spread throughout the world. Have you studied at Texas A&M University -The Bush School of Government and Public Service? Please provide a brief review of your experience at Texas A&M University -The Bush School of Government and Public Service in the comment section to help other readers! If this is true, than i’ll make more web sites for this theme. A million thanks for posting this infomtriaon.